Step 3: Achieve Your Learning Goal and master Persian the fast, fun and easy way! 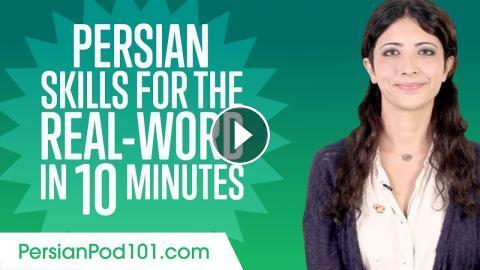 In this video, you’ll learn some of the most useful Persian phrases for the real world, Persian expressions commonly used in everday life. This is THE place to start if you want to start learning Persian, and improve both your listening and speaking skills.